Data is life. Data is wealth. Data is knowledge. Data is entertainment. Data is everything and it should be protected at all costs. In this technology driven world anyone in possession of valuable data, rules. Storing vital data on our local machines doesn’t suffice anymore. We need a more secure and reliable solution. The idea of relying on our machines to store data is a not suitable. Our machines can crash, get damaged, get stolen. Another option that comes to mind is an external drive such as a flash drive, a hard drive, etc. This could serve as a backup too, sadly it has the same disadvantages. Personally, I have experienced first-hand cases of hard drive damage hanging me out to dry. In summary, all physical storage systems can fail us when we least expect. One viable solution is the cloud storage. With the cloud we can save data and have access to it anywhere in the world, provided there is internet access. Saving our backups to the cloud is a great option.  There are no worries about the weight of physical backup systems, possible damage, theft when using the cloud. Oficloud provides safe cloud storage services to protect data for absolutely anyone to take advantage of. With Oficloud you are the only owner of your data. They can’t access your data as it is always encrypted on origin and the keys safely saved in your own office (or on any server controlled only by you). If they don’t have access to your unencrypted personal data, it’s not personal data subject to data privacy regulations restrictions. It’s as though it’s in your own computer. 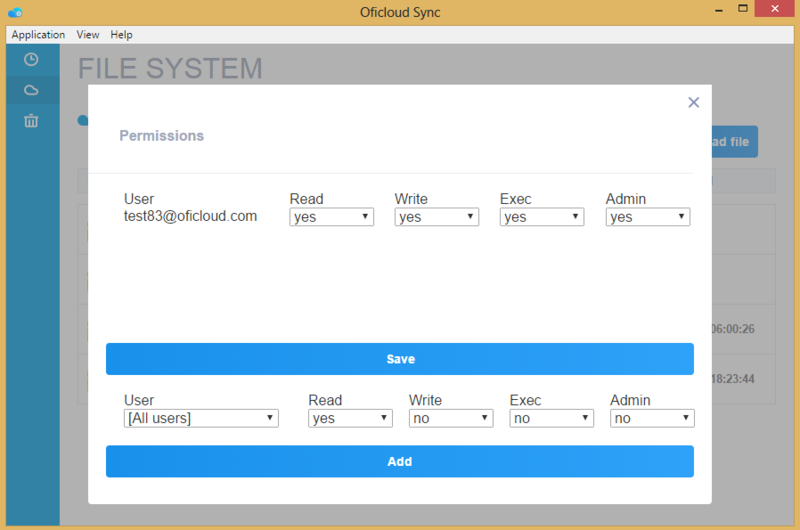 Oficloud is easy to use. 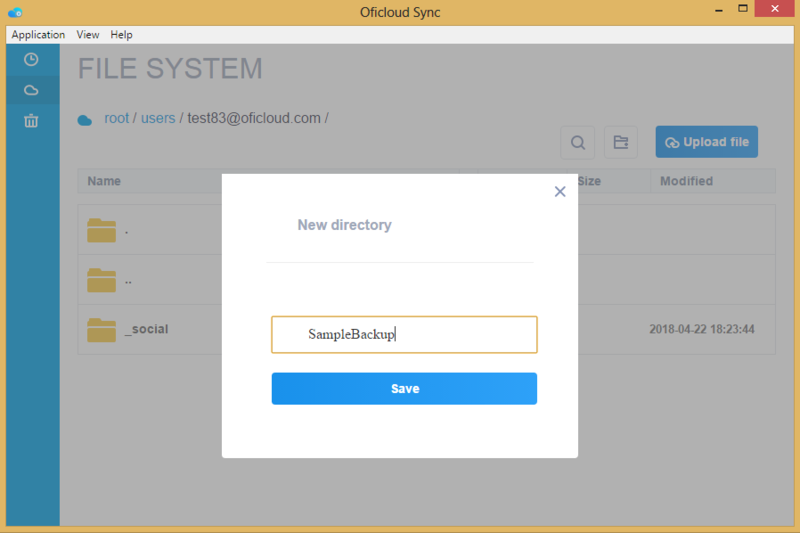 We would begin this tutorial by downloading and installing the Oficloud desktop application https://www.oficloud.com/install-windows, then creating an account. You can create backups of files on your local machine using tools like Duplicati https://www.duplicati.com/download. In this article, I will cover the use of the Duplicati backup system. This doesn’t imply that other backup systems are not good enough, Duplicati just happens to be our choice for this tutorial. Now that we have dealt with that, let’s set up the folder for our backups on Oficloud. After creating a new folder, it should appear among the folders on Oficloud. Now we need to create a folder on our local machine. 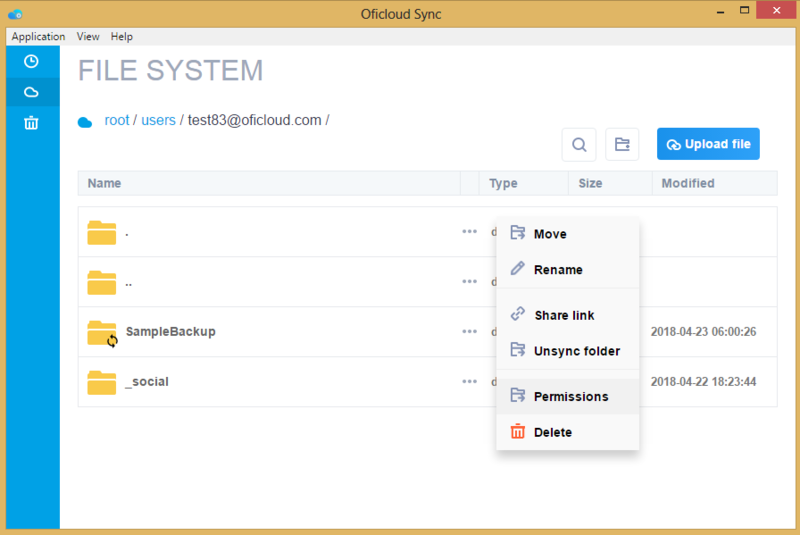 We will be storing our backups in this folder after synchronizing it with the folder created on Oficloud. We can call the folder anything, however, for the purpose of this article we will be using the name “SampleBackup” as well. After a successful synchronization, there should be a message popping up on the screen indicating the success of the operation. Henceforth, any file that is added to the folder on our local machine will be automatically uploaded to the synchronized Oficloud folder. NB: There should be a small recycling icon on the folder we just synced. That‘s all we need to do on the Oficloud app. 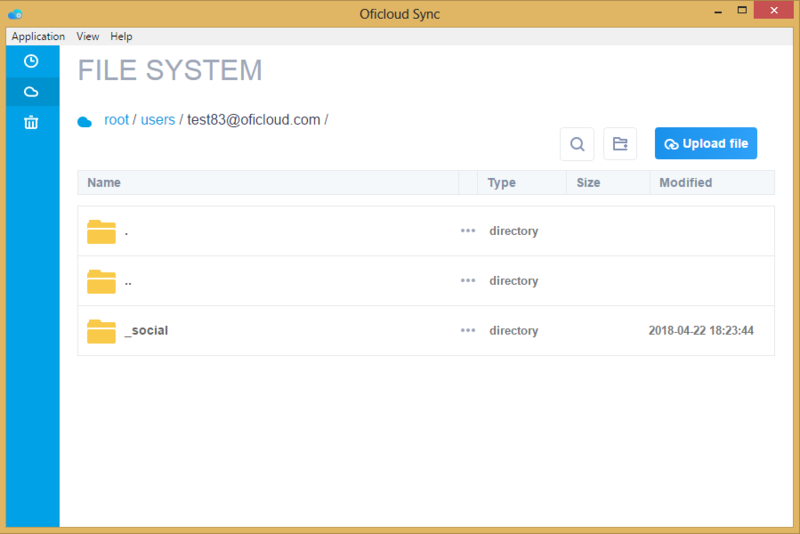 Now, we can proceed to make backups with the Duplicati backup application. Backup platforms vary by usage. However, we will discuss things that need to be setup on this platform i.e. Duplicati. 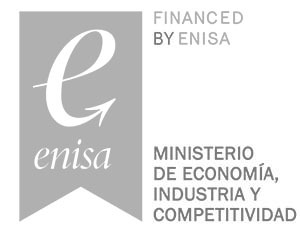 We advise that you do not use the encryption services of the backup application, as Oficloud also does encryption. Double encryption doesn’t improve security and using two encryption services would mean you have to remember the passwords for both Duplicati and Oficloud. When creating backups, select the local folder as the folder for saving our backups. After selecting the local folder, we will then choose the folders or files to be backed up to the folder. 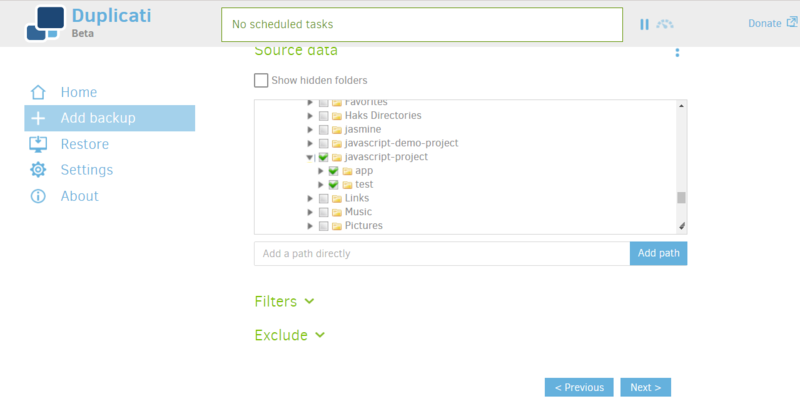 Duplicati has options to create backups at specific times of the week. However, for the purpose of this article we will be backing up only once. Depending on personal preference, you can set your backups to be done automatically. After setting the schedule for the backup, next is to setup the backup options. The default is set up to keep all backups. However, we would be tweaking this to keep a specific number of backups. This ensures that older backups are deleted after some time, to prevent a cluster of backup files you’re not going to want to be taking up space on your local machine. After configuring the settings, the next is to click on the save button and then we can run the backup. 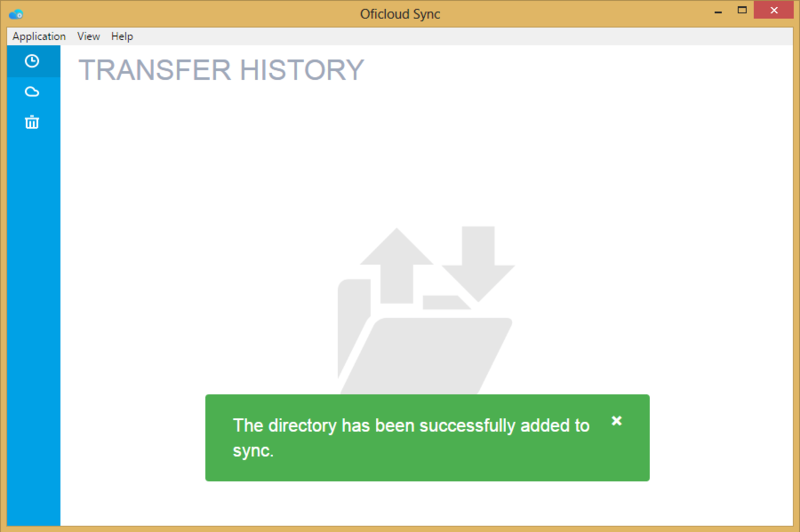 Immediately after the backup is completed, the files are then uploaded into Oficloud folder automatically. The process will be shown on the history section of the Oficloud app, which is updated the moment there’s a file change in the local folder. 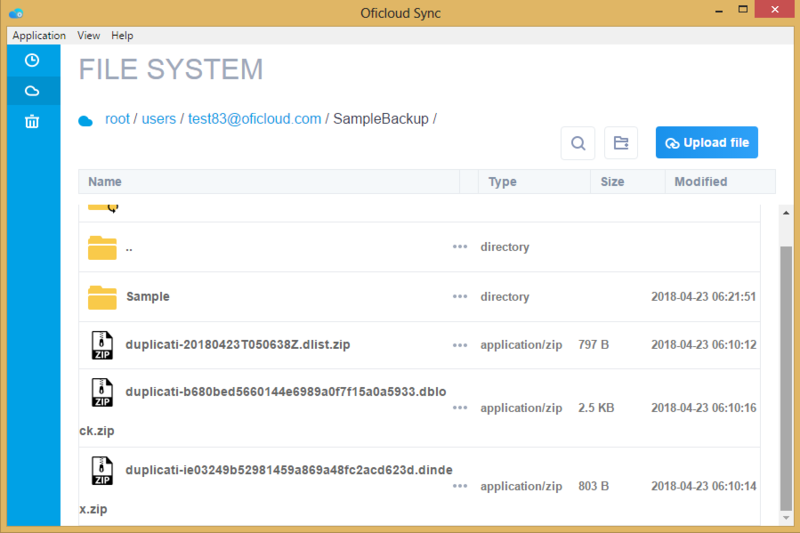 There you have it, your backup automatically uploaded to Oficloud. If you decide not to use any backup service, you can also have your files uploaded directly to the cloud storage. All you have to do is copy or move the file into the synchronized folder. And you can be sure of its security, thanks to Oficloud’s encryption feature.